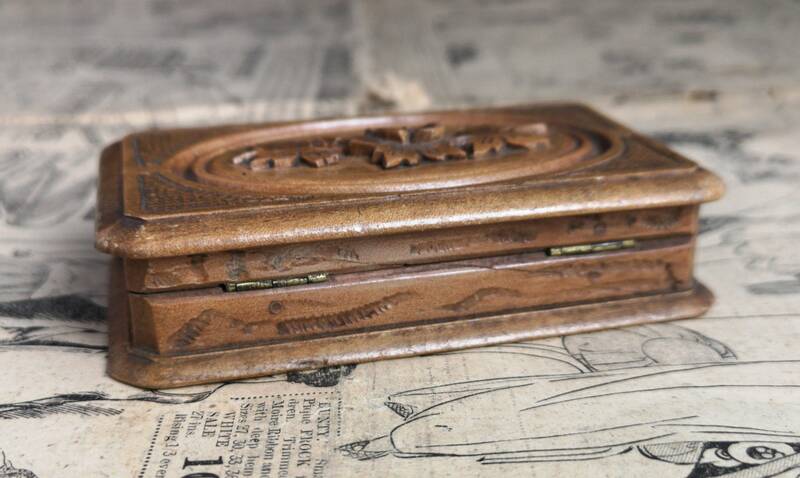 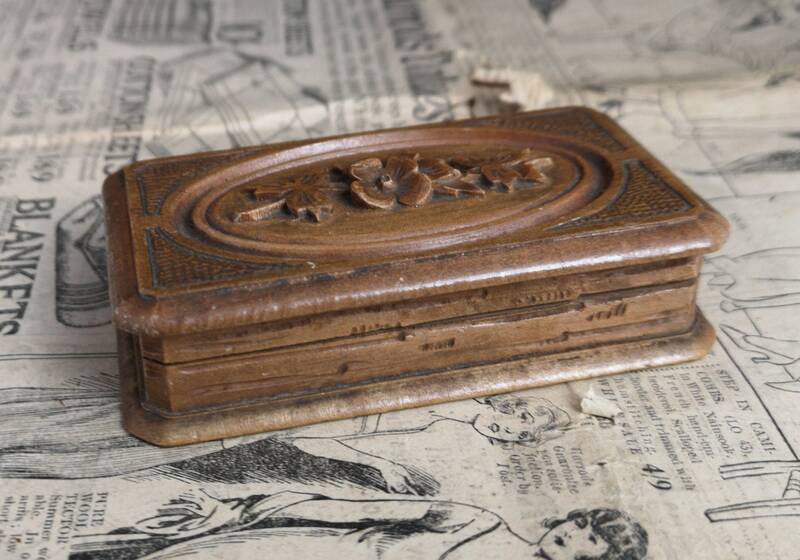 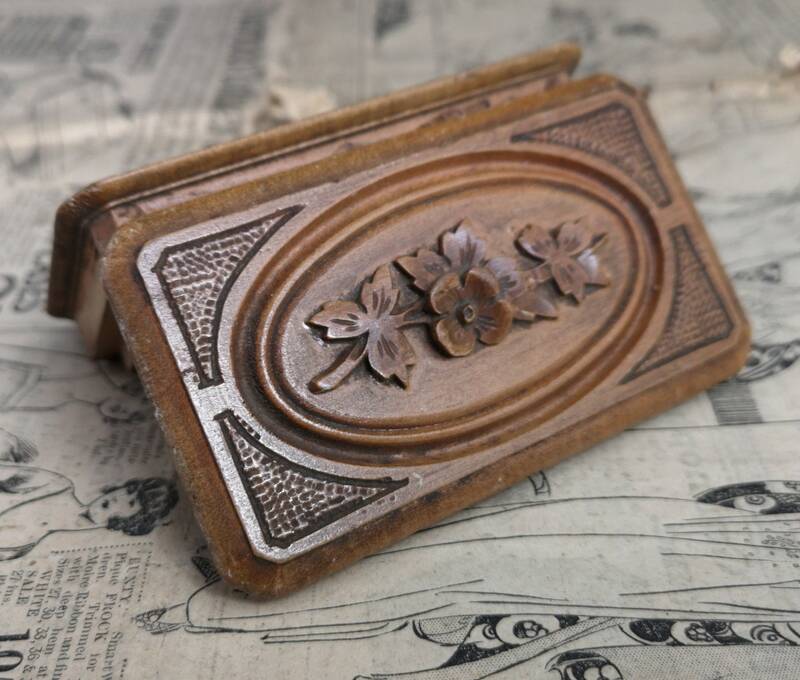 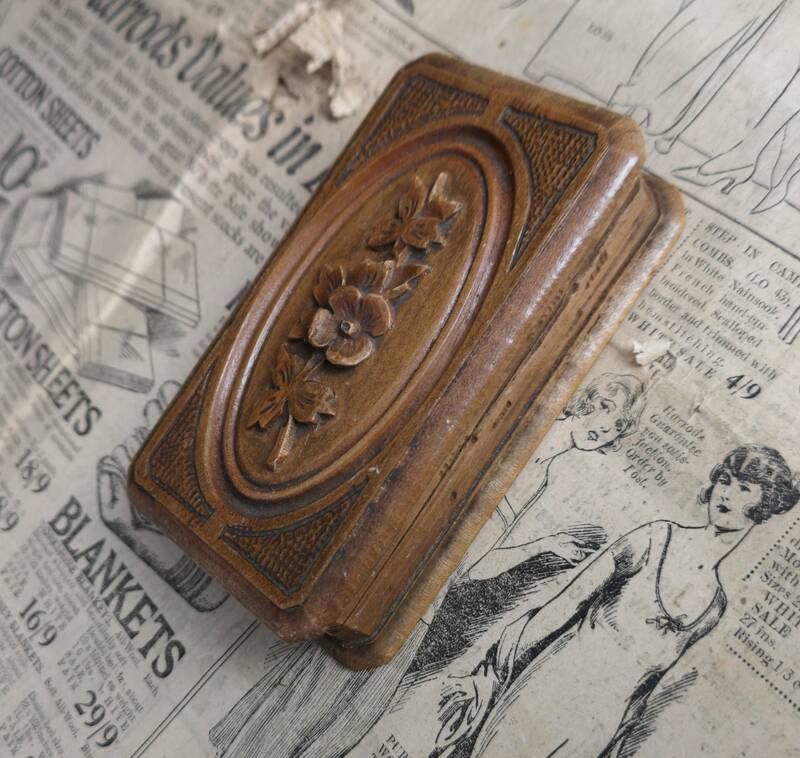 A very pretty antique stamp box, made from wood, intricately carved with a floral design. 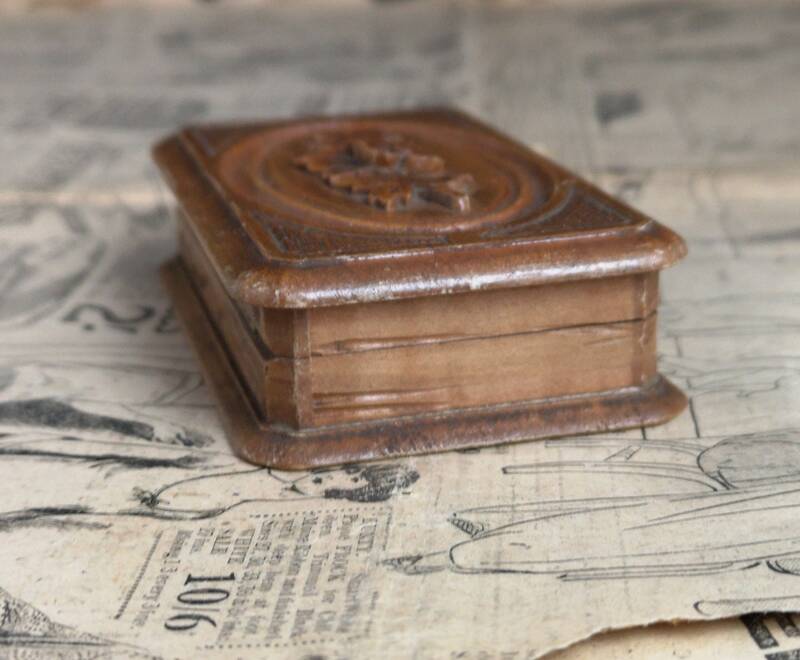 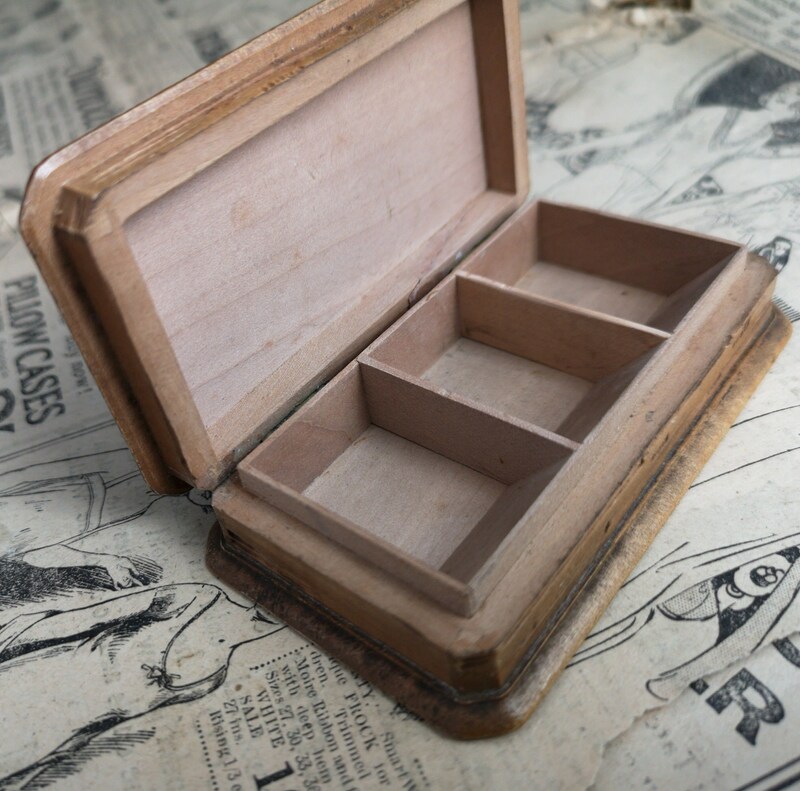 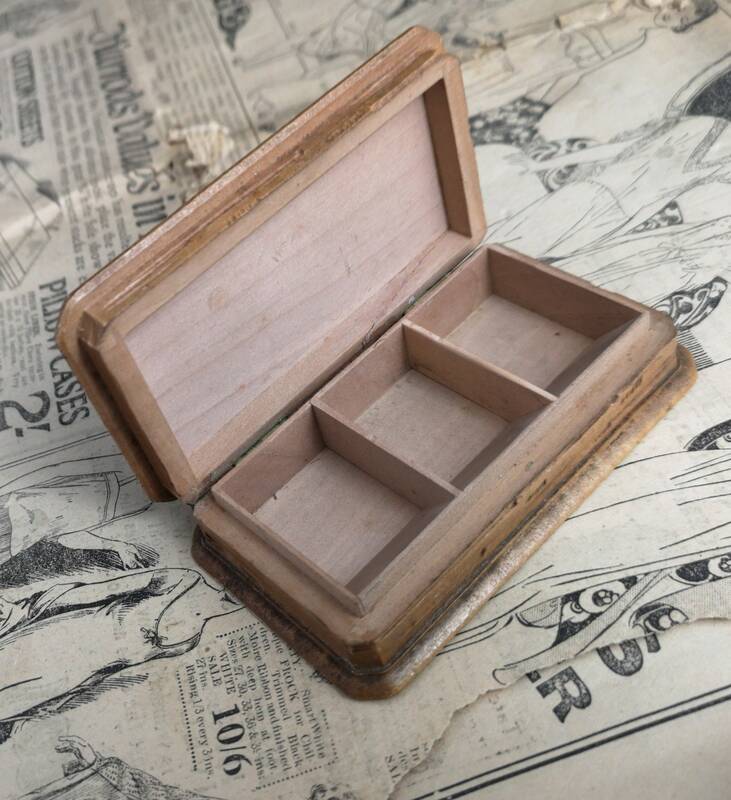 Late Edwardian era, it has 3 compartments inside for different stamps and a push close lid. 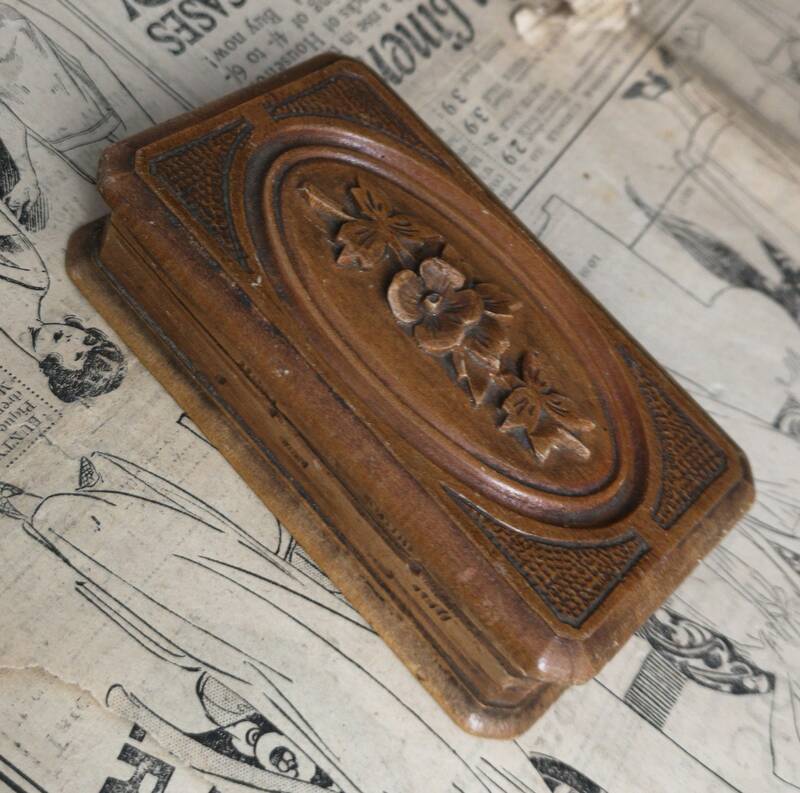 The floral detail in relief is very fine and well carved and the stamp box is in overall very good condition.